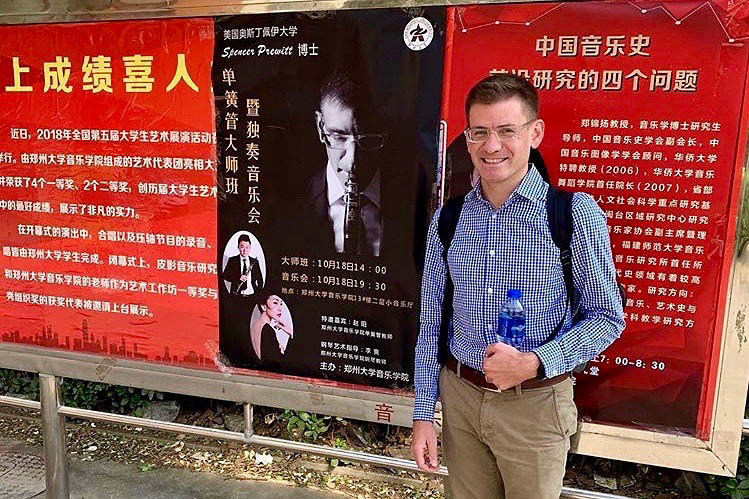 Clarksville, TN – Dr. Spencer Prewitt, Austin Peay State University assistant professor of music, recently finished a whirlwind tour of China as well as an impressive performance at the famous Carnegie Hall in New York City. As a part of a long-term relationship-building project, Prewitt traveled throughout China October 8th-19th to perform, teach and promote the opportunities for international students available at APSU. APSU’s Dr. Spencer Prewitt performed at Carnegie Hall November 2nd and 3rd. During his time in China, Prewitt gave a recital at the Zhejiang Conservatory of Music in Hangzhou. The Zhejiang Conservatory of Music holds the distinction of being the largest music conservatory in the world. As a part of his time in Hangzhou, he gave master classes for clarinet students, provided a lecture on developing artistry in clarinet performance and met with a wide variety of University administrators. After his time at Zhejiang Conservatory, Prewitt repeated his activities at the Sichuan Conservatory of Music in Chengdu, China, as well as Zhengzhou University in Henan, China. In total, Dr. Prewitt worked with about 200 clarinet students in China and introduced APSU to dozens of leaders from all three Chinese institutions. Prewitt’s travel to China was supported by the APSU Department of Music, International Studies and the College of Graduate Studies. Prewitt traveled throughout China October 8th-19th to perform, teach and promote APSU. After his return from China, Prewitt joined a video game and movie scoring orchestra to perform the works of Japanese film score composer Joe Hisaishi at the famed Carnegie Hall in New York City. Hisaishi is affectionately considered to be the John Williams of Japan based on his prolific body of film compositions. Each sold-out performance at Carnegie Hall featured 2,804 patrons on November 2nd and November 3rd. 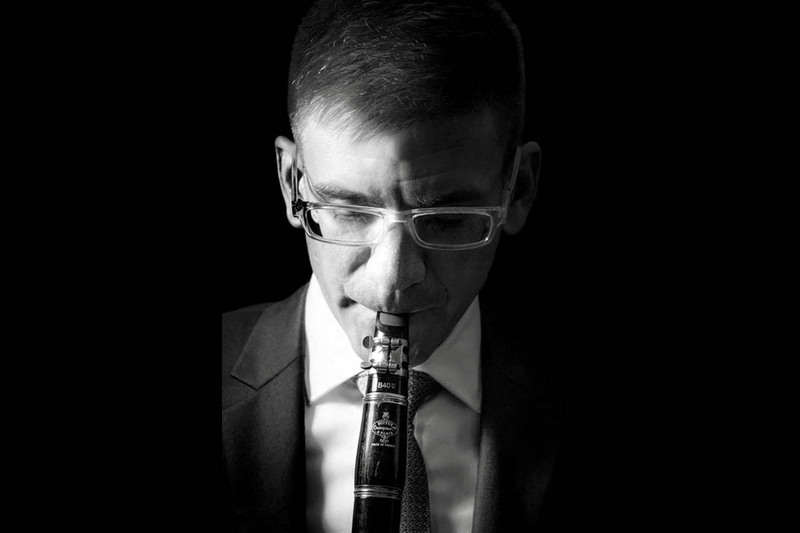 Prewitt joined APSU’s faculty in the fall semester of 2016 teaches applied clarinet, leads the clarinet choir and teaches pedagogy courses in the Department of Music. For more information about Prewitt and the degree programs offered through the APSU Department of Music, contact the department office at 931.221.7818. For more information about Spencer Prewitt, visit http://www.spencerprewitt.com/. For more information about the Zhejiang Conservatory of Music, visit http://english.zjcm.edu.cn/. For more information about the Sichuan Conservatory of Music, visit http://www.sccm.cn/english/. For more about Joe Hisaishi, go to http://joehisaishi.com/index.php.